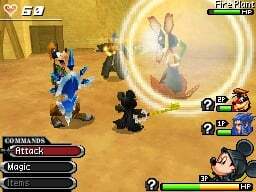 Dive into the heart of the KINGDOM HEARTS storyline's biggest secrets. 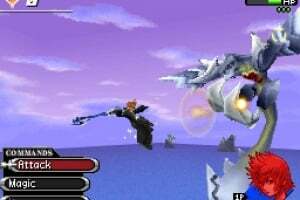 In KINGDOM HEARTS, Sora turned the Keyblade on himself in order to release Kairi's heart, but his heart was also released in the process. 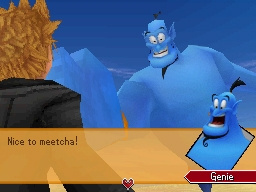 This brought about the creation of Roxas, Sora's Nobody. 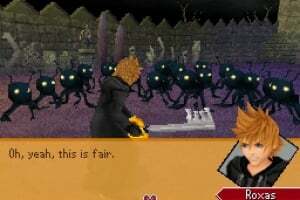 Unlike most Nobodies, however, Roxas has no memories of his past. 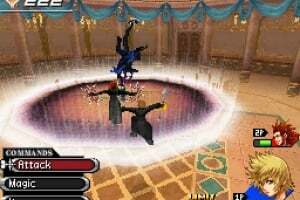 He joins Organization XIII and slowly begins to discover the truth behind his existence and the Organization itself. He meets and befriends the fourteenth member of the Organization, who also has no recollection of her past. 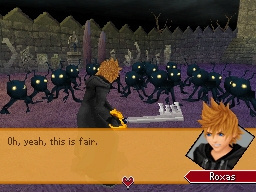 What will Roxas see during his time in the Organization? 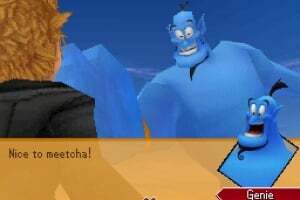 What is the connection between him, Sora and the fourteenth member? And what becomes of them? 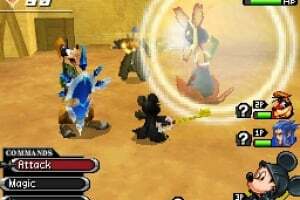 Additionally, KINGDOM HEARTS 358/2 Days uses the local wireless capabilities of Nintendo DS to introduce the series’ first ever multiplayer mode, in which players can take control of their favorite Organization XIII members and tackle a variety of missions on their own terms. Everybody must BUY this awesome game!! How come this will be in Argos in England on the 11th of September? It seems it'll be out much earlier then in other european territories. I'm not complaining I'm just curious why it'll be out in one shop earlier then the rest that's all. 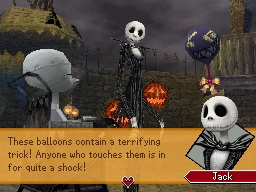 P.S: It's a shame about the voice actor of Mickey Mouse too . I.Can.Not.Wait!!! I watch this trailer over and over again. I nearly memorized it and the song is so....amazing. Oh joy, more angsty teenage girl-men. Myeh, I stopped liking the series after the first game. Well, the series's storyline. The gameplay (if incredibly easy) is still pretty fun. Augh! this game is amazing. Im sooo so glad I bought it. 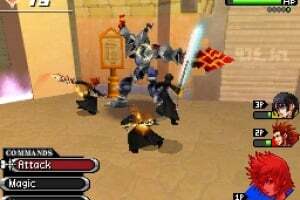 this looks likethe awesomest game ever. What, the NL staff has not reviewed this awesome game yet!? 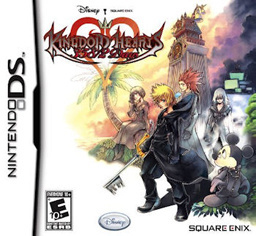 This is one of my favorite kingdom hearts game on the ds or dsi. 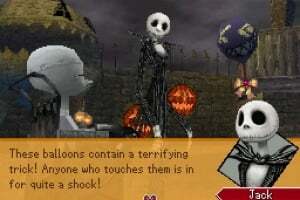 Spoilers for anyone who hasn't played the game! 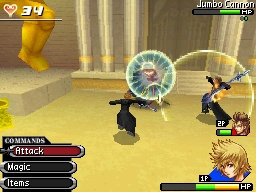 Supposedly in BBS, Ventus' heart passes on, and is eventually placed in Sora. Xion and Roxas are essentially feeding off of Sora's memories. 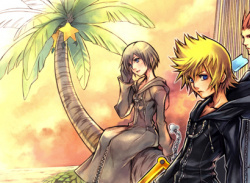 Roxas is the image of Ventus. 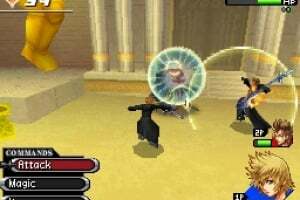 Xion is the image of Kairi, but if you beat the game you know that she shifts shapes towards the end. 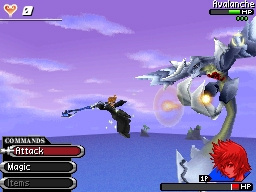 She started to "become Sora" and first she took the image of Ven before finally taking on Sora's identity. Does #15 not have a username??!! I just realized that the 358th day of the year is Christmas eve and the 359th day is (obviously) Christmas! I wonder if this was planned! Great game. 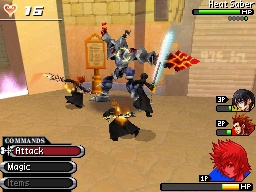 I look forward to RE: Coded, but I look even more forward to KH3D! STILL no review, NL staff!? I can buy it for 24.99 and I heard its great, to bad I dont have enough money, I spent most it on spirit tracks.